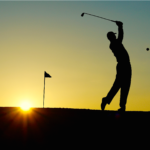 Sports Then and Now | Can Tiger Woods Recapture His Form at the Masters? 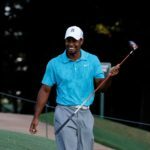 Can Tiger Woods Recapture His Form at the Masters? Despite not winning the Masters since 2005 and not winning a tournament since 2009, Tiger Woods is still the betting favorite at the 2011 Masters. Tiger Woods is the current favorite in the Masters Golf odds. This can be viewed as either a fair reflection of the pedigree of a 14-time major winner in a wide-open tournament or unrealistic expectations of a player desperately short of form and confidence. Woods won his first major at Augusta in 1997 and has donned the famous green jacket three times since, which should make him the man to beat whenever he arrives at the idyllic Georgia setting. Current form suggests he is more of an outsider in many people’s eyes. The Farmers Insurance Open brought Woods his worst ever season-opening finish of his career, a 44th place that hinted at the problems of last year being close to the surface. Woods improved to finish 20th at the Dubai Desert Classic, but his fine for spitting in the final round grabbed the headlines, an incident which said more about his state of mind than the player’s own statements of improvement. Nonetheless, it is hard to ignore the shoots of recovery that emerged at the WGC-Cadillac Championship. Woods shot a final round 66 at the Doral Blue Monster, his lowest score on the PGA Tour since last year’s US Open. This gave him a share of 10th place at a venue where he has never once finished outside the top 10. Woods will hope for a similar repeat of previous form at Augusta – since his first victory his worst finish has been joint 22nd, with seven top-10 finishes to go alongside his four victories. 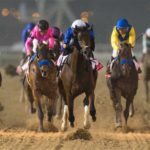 The world number five continued his progression in the Tavistock Cup but the real evaluation of his form will come at Augusta. There are plenty of punters who think he can get back to winning ways.